These boxing gloves trophies are suitable for both men's and women's boxing awards, and for junior prizes. 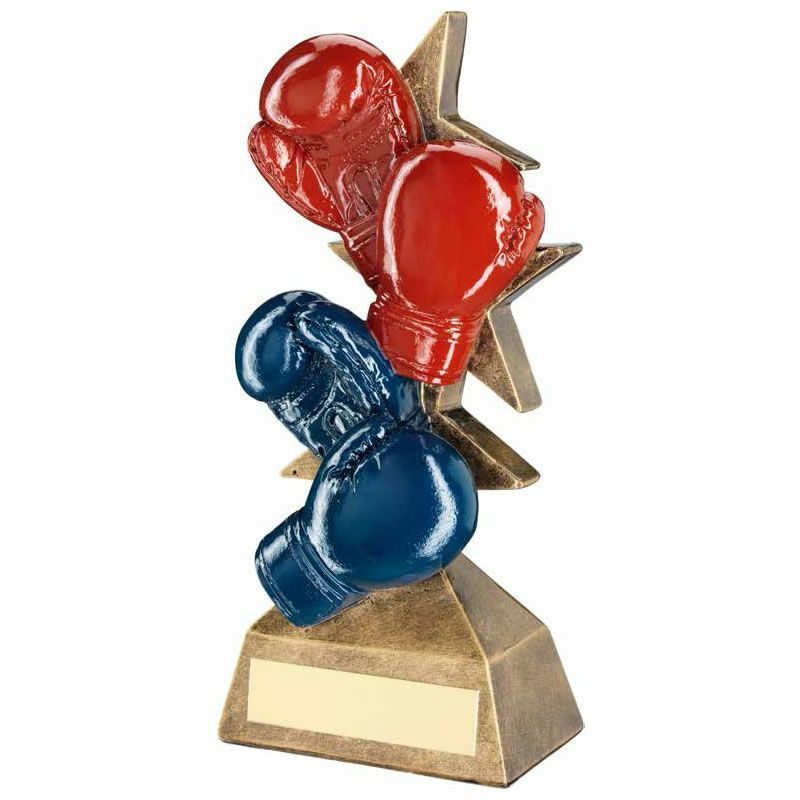 Crafted in durable resin, they feature two pairs of boxing gloves - one red, one blue - set with a star background and mounted on a base with engraving plaque. Offered with professional engraving options and fast UK delivery. The height of this resin boxing gloves trophy is 7.25in / 184mm.